It's that special time of year and you want to make it a phenomenal experience. Spending your birthday with family and friends is a truly special occasion. Birthday parties are especially enjoyable when you have all the arrangements done at the proper time. Hiring a limousine or party bus can enhance the celebration even further and make it even more special for your loved one. 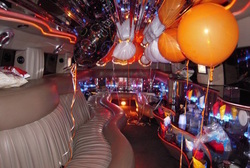 Raleigh Limousine and Party Bus Rentals presents a unique opportunity to make your birthday party memorable and unforgettable. Our company provides luxury car services in Raleigh and other surrounding areas. Our services are distinguishable from other companies on the basis of the competitive rates and services that we provide for our clients. Some individuals may need help with planning their birthday parties due to the many arrangements that need to be made! Our company can help take care of some of the extra details of the event for you on your behalf, such as any reservations that may need to be made. We also give guidance to our clients so that they can choose the limousine that can accommodate the number of passengers they need in a single vehicle. Our limousine transportation presents several opportunities for making your birthday event memorable. 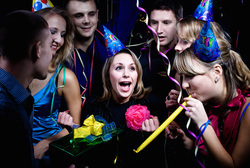 There are many party venues in Raleigh that can be hired for hosting your birthday party. One of the most popular venues in Raleigh is The Architect Bar & Social House. There are other venues like A Step to Gold International Ballroom which is a spacious party location that provides many facilities. Our limousine and party bus service can take you to the party venue of your choice in comfort and style! We place utmost importance on the punctuality of our clients. By hiring us you can be assured that our chauffeurs will pick you and your guests up at the assigned time. Our clients can give prior instructions on the routes that are preferred. It is recommended that you select popular routes in Raleigh so that your friends can enjoy the outside view! Our drivers are qualified and experienced to take you through the route of your choice with ease, as well as have a slew of routes on hand to recommend. We have a reliable GPS service that takes time delays into consideration when planning the traveling schedule. Our travel schedules are updated according to the traffic flow that is observed so that alternate routes can be taken and you can arrive at your destination on time. When an order is placed with our company, we present amenities that can enhance your traveling experience. We can set the music stereo system according to the volume that you like your songs to be played at or you can also select a playlist that you would prefer for us to play. If there are certain music videos that you may like then we can prepare a video list that you and your friends would enjoy, as well. If a TV is required then an LED or LCD screen can be included in the limousine or party bus of your choice. Our drivers are experienced enough to take you to your birthday party promptly with excellent service and style. Our vehicles are insured and regularly maintained so that that you can have a safe ride to the party venue. Our Raleigh Anniversary Limousine and Party Bus Rentals team, ensure that our priority is making your birthday party or anniversary one of the most splendid and memorable moments of your life! book your Birthday party bus or Limo service today & celebrate in style!